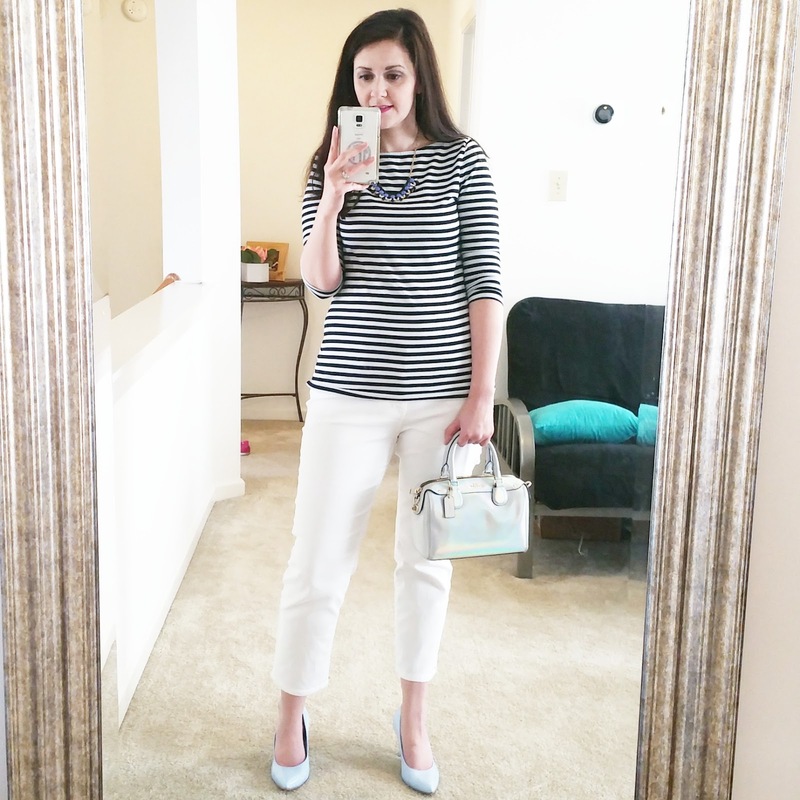 This week’s featured blogger is Katie at Preppy Empty Nester, a lifestyle blog. She lives in Massachusetts in a beautiful home built in 1895 (love historical homes! ), and her children have left home but she has two adorable dogs. 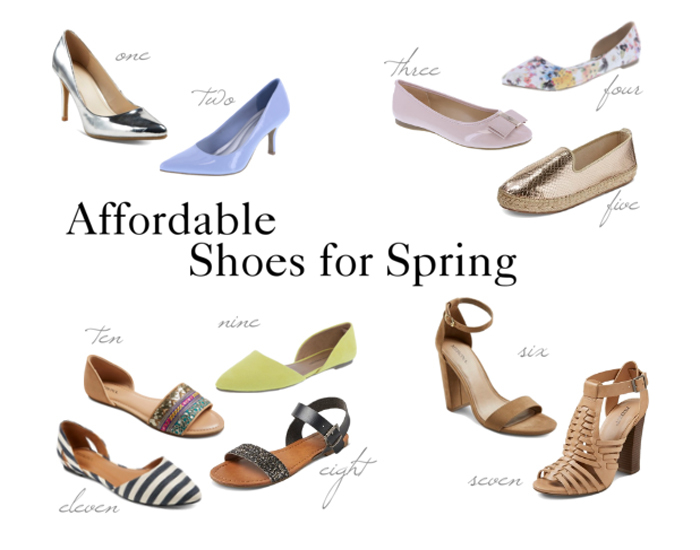 She’s sharing some great Easter finds today. I was also cracking up reading her short hair dilemma. 1. Friday night was Parent’s Night Out at daycare. I picked Kane up before it started, and took him to Walmart and let him pick out a couple of little toys before I had to take him back. 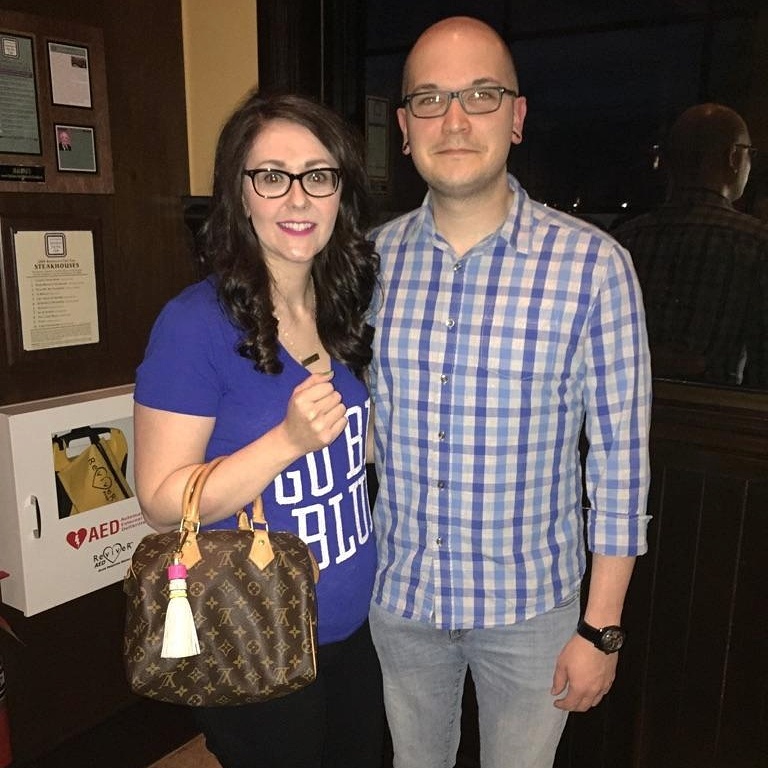 Once I dropped him off, Chauncey and I headed out to dinner at Malone’s. I had almost forgotten what it’s like to linger over a meal.haha It was so nice to have a date night. We also hit up Target and a few other places before picking Kane back up. 2. Saturday I needed to shoot this week’s blog posts, and it was a gorgeous day to be out and about. We tried out Joella’s Hot Chicken, which is a new restaurant in Lex. I wasn’t crazy about the chicken strips, but Chauncey loved them. I did love the side items, though, and the atmosphere was fun. 3. On Sunday, I headed to Louisville to meet Nicole from What Nicole Wore. 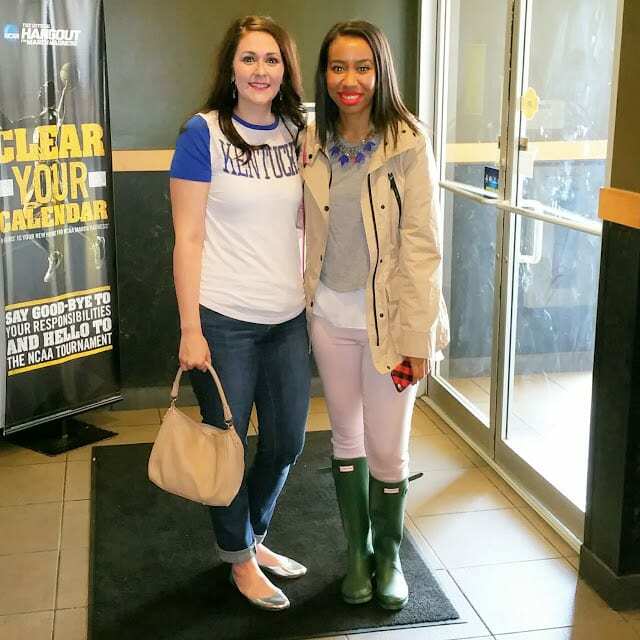 We met at Buffalo Wild Wings to watch the 1st half of UK’s game, and then headed to Nordstrom Rack to shop a little. 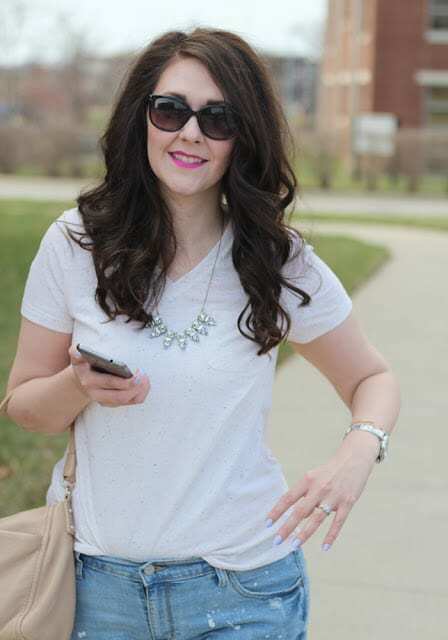 She’s just as sweet in real life as she is on her blog, so be sure to check her out! We parted ways after that, and I hit up the outlets on the way back to Lex. 4. 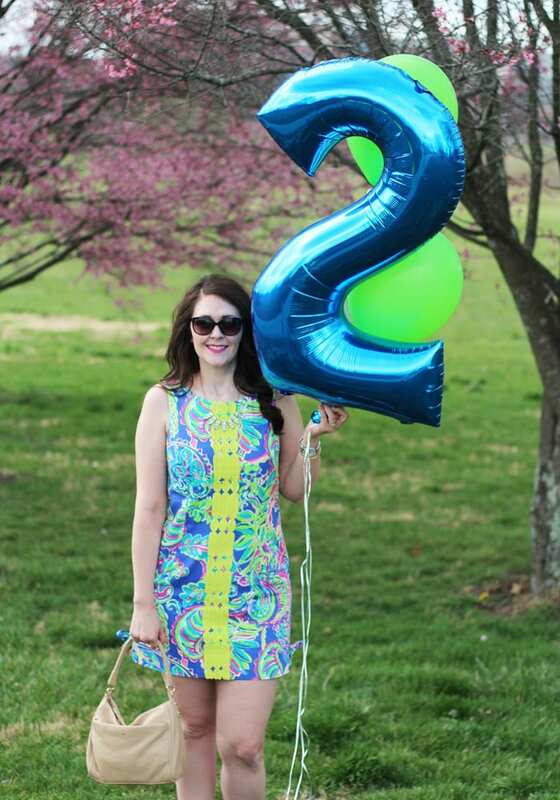 Yesterday was not only St. Patrick’s Day, but also my two year blogiversary! 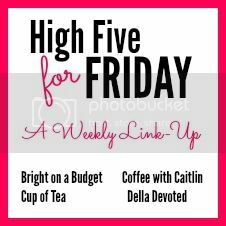 Be sure to check out the amazing giveaway that I, along with some of my blogging buddies, are having to celebrate!!! 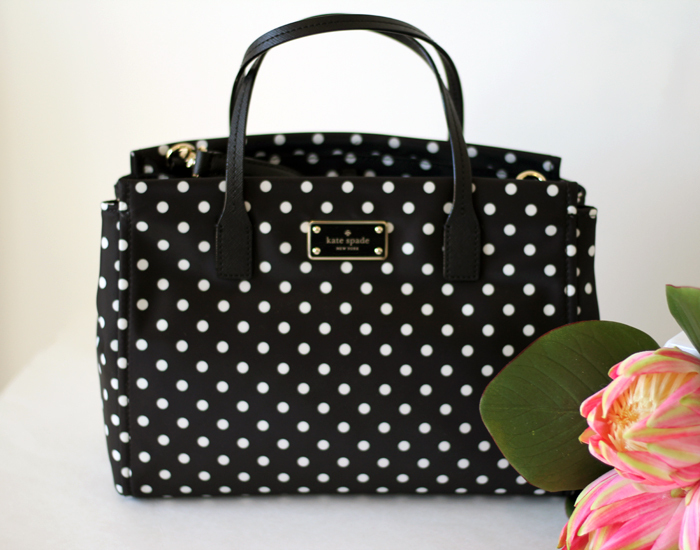 We’re giving away a polka dot Kate Spade handbag and a Target giftcard! Chauncey, Kane, and I went out to celebrate at Mellow Mushroom on Wednesday night because I had a free pizza and didn’t want to fight the crowds yesterday:) Also, funny St. Patrick’s Day story–Kane refuses to wear shirts that don’t have dinosaurs on them. So I told him the writing on the green shirt I had laid out said “dinosaur.” (It actually said “game changer.”) Parenting win! 5. Here’s my favorite outfit from the week, featuring my new holographic bag from the Coach Outlet, and my new favorite heels from Payless that were only $11.24. I’ve picked up some adorable things for Spring this week–would anyone be interested in a shopping haul video?